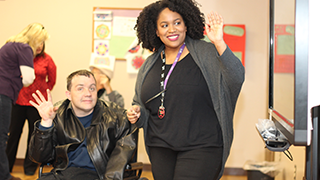 Every person needs the support of others, but we look for very special people to support the individuals we serve with disabilities; children with emotional, behavioral or medical complexities; children and adults with brain injury). As a Cook with NeuroRestorative you’ll be one of those special people. For NeuroRestorative and The MENTOR Network the Cook is critical to our success and exemplifies the wonderful mission driven work we do here every day. To that end, the Cook also happens to be a great place to start in our company with a myriad of career options to move up and across the organization. NeuroRestorative is seeking a Cook to coordinate menus and maintain kitchen inventory and handle food properly in compliance with health safety. The Cook will prepare food for consumers and ensure cooking equipment is in good order.